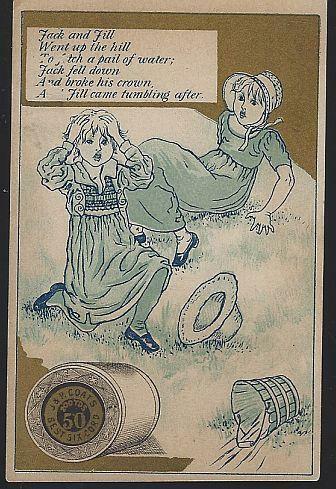 Victorian Trade Card for J. 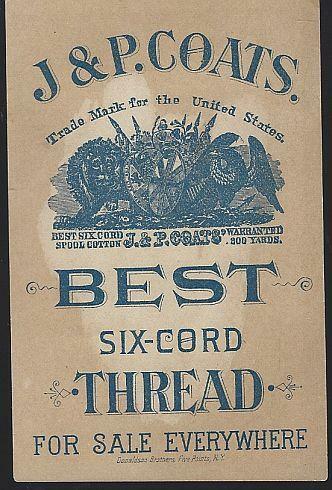 & P. Coats' Best Six Cord Thread. For Hand and Machine, White, Black and Colors. Front of the card has Jack and Jill. Back of the card has Information. Card is 2 3/4" across and 4" high. Card is in good condition, wear at edges, yellowing on back.